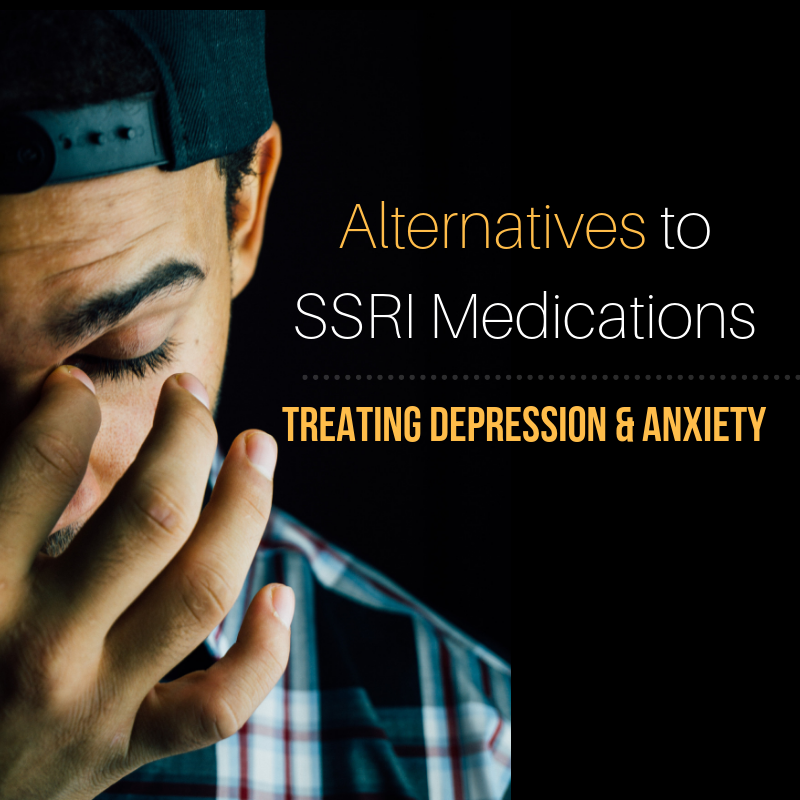 If you were on a SSRI medication, you may want to take several minutes to read the following blog. SSRI stands for selective serotonin reuptake inhibitor. These are medications that are designed to help people who have been suffering with anxiety or depression. The way that they work is by stopping the reuptake of serotonin between two nerves that are attempting to communicate with one another. It is a normal process in the human body for serotonin to be expelled or pushed out of one nerve that is trying to communicate a signal to the nerve next to it. Once enough serotonin has attached to the second nerve, a signal is received and the nerve impulse continues down the line and normal human function continues to be achieved. After this occurs, serotonin is taken back up into the first cell, this being called reuptake. What SSRI medications do is stop this process so there is more serotonin between the two nerves and it is more likely to cause the second nerve to fire. These medications have some fairly significant side effects and often times are very difficult to get off. It is for this reason that is recommend an alternative course if you have problems with anxiety or depression. The first thing that I recommend doing for everyone is taking an omega-3 supplement. If a person is suffering from anxiety or depression, I recommend taking 7,000-10,000 mg of omega-3 fatty acids per day. This unit of itself may be enough to take care of the problem and if not, it may help improve the effectiveness of your SSRI medications as well. There are no contraindications to taking Omega-3’s when you are taking an SSRI drug. The only side effect that some experience, although it is fairly rare, is diarrhea, if they overdose. Omega-3’s work by allowing the cell membrane to be more receptive to the serotonin. The other thing that I recommend is taking 5-HTP, another name for 5-hydroxytryptophan. Now, if you are on a SSRI medication, you may want to consult with your prescribing doctor before taking 5-HTP as it is what the body uses to make more serotonin. This can lead to an excess of serotonin in the space between your nerves and a condition called serotonin syndrome. However, if you are not taking an SSRI medication, this is not something you have to worry about. If you take the combination of Omega-3s and 5- HTP, you will increase the ability of your cells to receive the serotonin, as well as making more serotonin at the same time. 5-HTP is the most effective if you take it on an empty stomach with a little bit of juice or a bite of an apple. The sugar from the apple or juice holds the amino acid tryptophan into your cell that makes serotonin, specifically nerve cells. If you do not take it in this manner, then the amino acid tryptophan may just be made into muscle or skin or some other thing in the body, but not specifically serotonin. One thing to watch out for is you may want to take your 5-HTP at night as it can cause some drowsiness. One of things serotonin does is makes you somewhat sleepy and can also help insomnia. You do not have to handle this problem alone. Let us help you! If you feel that you might have a problem with anxiety or depression, stop into the office for a consultation or schedule an appointment to find out if it can be helped with the nutritional advice that we give. Want to learn more? 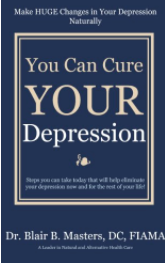 Check out You Can Cure Your Depression by Dr. Masters available on Amazon! "This book is short for a reason. If you're suffering from depression, it’s very likely you don't want to wade through reams of pages only to confirm what you already know –that depression is a very serious health problem. You already know that if you suffer from symptoms of depression. You already know how devastating it can be to you, to your family, to your job and to those around you. This book contains no-nonsense action steps that ensure that you improve your condition naturally with minimum effort. Don’t be fooled by how short this book is or how easy the steps are to follow. If you do what is recommended, you will feel better!! You may be skeptical of these claims and that is as it should be. Yet I have seen time and time again that when people in my practice take action and experience improvement, their symptoms of depression can be eliminated. I've seen this repeatedly in my patients. These steps are supported by research. Following them will improve your depression. Believe it! Try it and see for yourself. There are things you can do to get off of the medication treadmill. There are also things you can do to improve the depression that you currently have and prevent it from becoming a worse problem in the future. All you have to do is take action. This book has the potential to be life-changing … if you decide to take action."